With Voice activated personal assistants becoming the new user interface of choice in our homes and cars, it’s only natural for enterprises to focus on voice interface technology as a customer engagement channel. Innovative solutions that deeply integrate voice (AKA contact center telephony) into service management platforms, like 3CLogic and ServiceNow’s combined offering, allow enterprises to gain unparalleled visibility into customer-agent (or virtual agent) engagements, extracting valuable data and putting it to work. In addition to real-time data enhancements, 3CLogic is digging deeper into voice to offer new sentiment analysis, bringing the Knowledge18 Hackathon win to life! In the past, visibility into voice conversations between customers and customer service agents had been limited to the notes that the agents enter, or do not enter, after a call ends and data is logged into ServiceNow. The soon-to-be revealed sentiment analysis capabilities will provide unprecedented visibility into a conversation as close to real-time as possible, assign sentiment such as positive, negative and neutral ratings and drive automated tasks based on the analysis. Unlocking these valuable insights and acting upon them leads to improved customer experience, increased customer loyalty and contributes to real business transformation. Organizations are increasingly taking these necessary steps to become truly customer centric – and you should too. Where Can I See It Live? 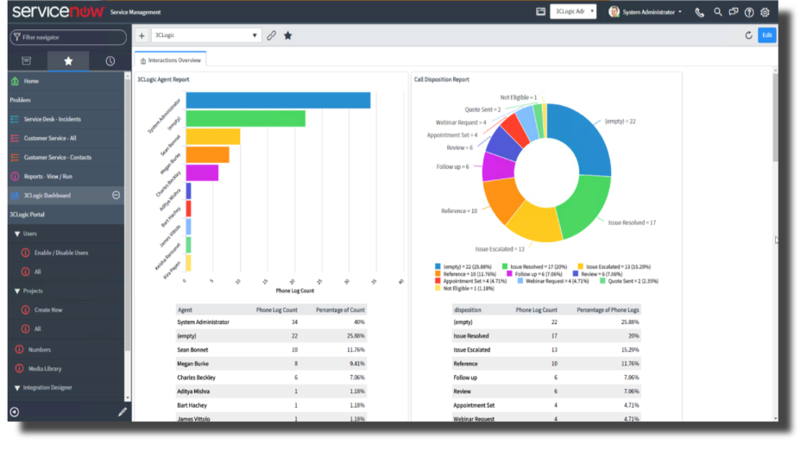 3CLogic will unveil its newest inbound/outbound activity dashboards, wallboards and sentiment analysis capabilities within ServiceNow at upcoming NowForum and NowSummit events. Click here to see the dates and locations most convenient for you – we hope to see you soon!